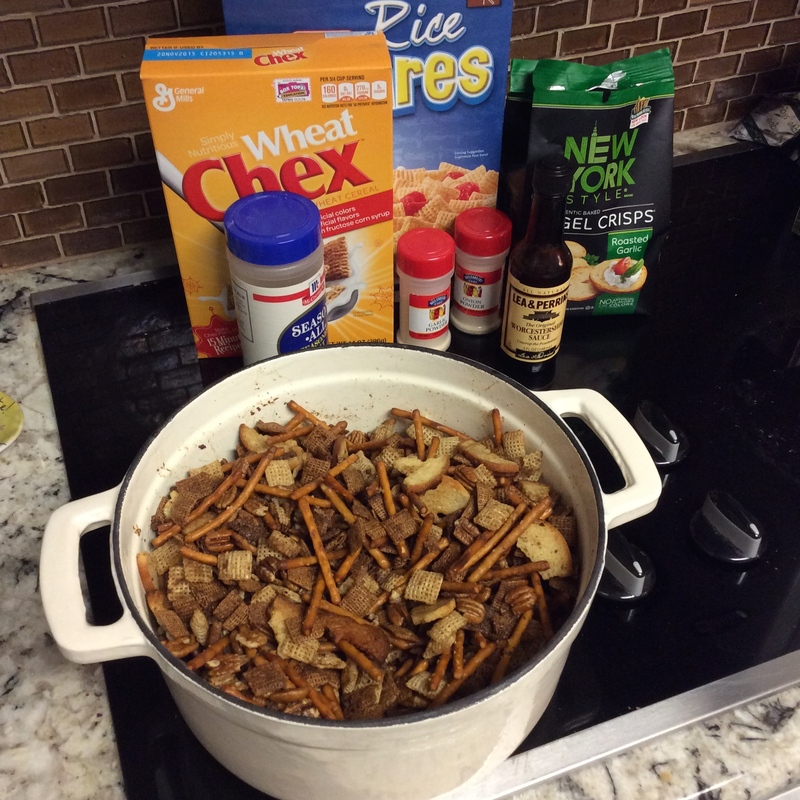 Have you tried Chex Mix Baked the original way? Thought I’d share an old recipe that you don’t see baked anymore. The cereal box has a microwave version that may be quicker but I don’t think is as good. My husband’s mom always served a close version of this every Christmas. Hers was always so good and she would send a bit of it home with everyone. I made this for my snack loving granddaughter and happily, she approved! I’m going to keep this in my kid friendly arsenal for when they visit and maybe even continue my MIL’s tradition. 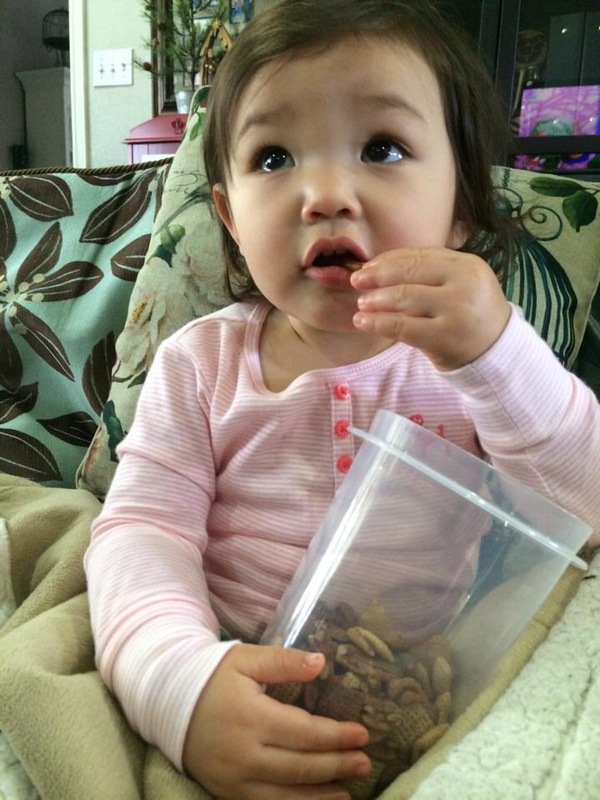 My snack lovin’ granddaughter approves! Thanks for the picture, mom! 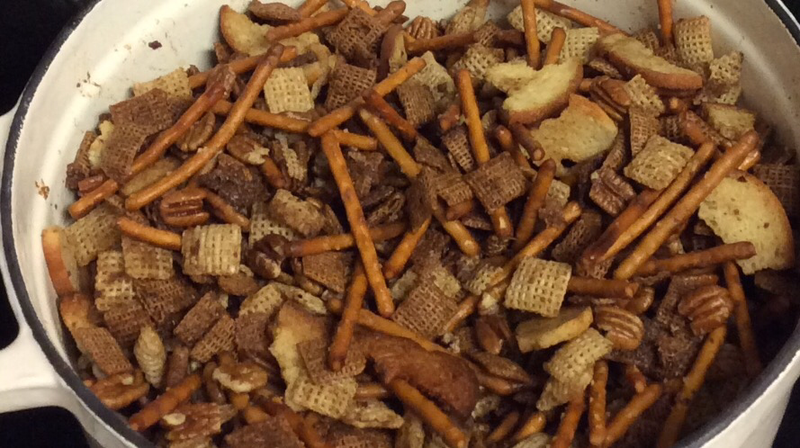 Yep, I’ve made a few changes from the old recipe, adding more butter, spices and Texas pecans instead of mixed nuts. I like wheat and rice cereal but you can use 3 cups each of rice, corn and wheat. That’s the fun of recipes.. To change them up and make them your own! Preheat oven to 250 degrees Fahrenheit. Melt butter in a large Dutch oven or large, deep casserole dish in the oven. Remove from oven. Add spices and worsechishier sauce to melted butter and mix well. Add cereal and remaining items and toss well in butter mixture. Place in oven and bake for 15 minutes. Remove from oven and stir well. Repeat 3 more times baking a total of one hour. Remove from oven and spread evenly on two paper towel lined cookie sheets to cool. Store in air tight containers. Makes about 12 cups.